I’ve not had access to a proper studio since I left TAFE (college) where I abused, I mean used the excellent facilities. Now working from home I have to make do with whatever is around the house and a few well-chosen bits of photo kit. 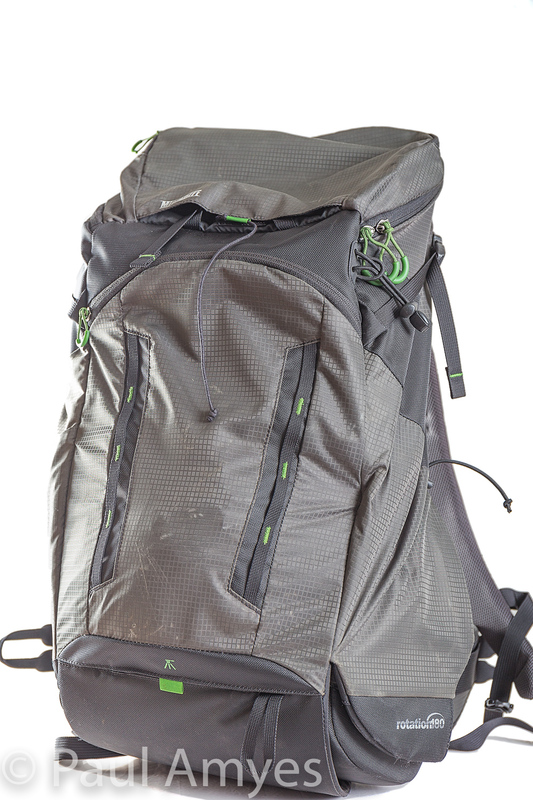 In the above pic I’m doing a product shot of back pack in the sitting room. I don’t have a white infinity curve on a product table so I use a small Ikea coffee table covered in a white shower curtain and a white double sheet as the background. I want the backpack on a white fore ground and against a white background. Experience has taught me that if a light the background with a flash gun (speed light to our American readers) and over expose by 1 stop it will show as pure white. The subject is lit by two flash guns in brolly boxes arranged at 45º to each other. The camera sits on a tripod and the flashes are triggered wirelessly using a Phottix Odin transmitter. 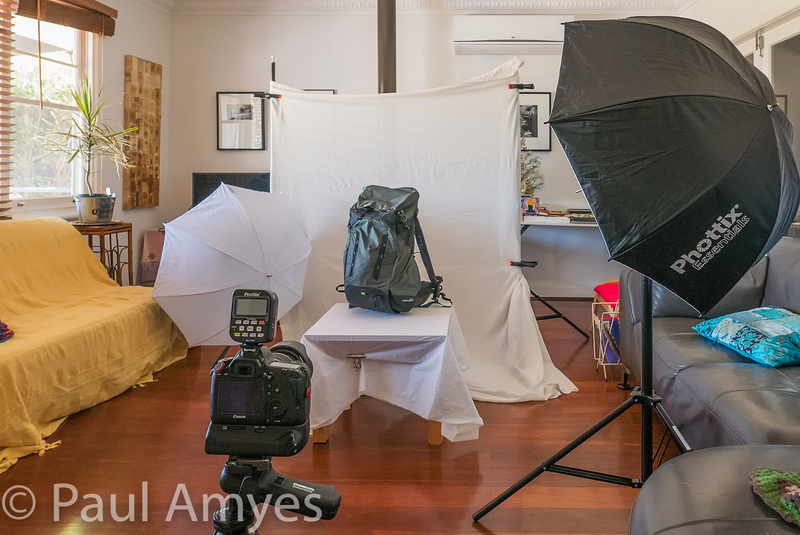 Unlike a lot of photographers I shoot using TTL control and use flash exposure compensation on each flash to control the lighting ratio which in this case is 2:1 or the key light (the black brolly) is set to be twice as powerful as the fill light. All very simple really.